Delivery vehicles can be set up in FocalPoint to allow you to assign deliveries to trucks, trailers or truck-trailer combinations. 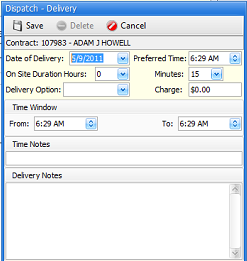 An interactive screen can be used to sort and assign deliveries and pick‐ups for orders and work orders. Dispatch lists can be easily re-sequenced. 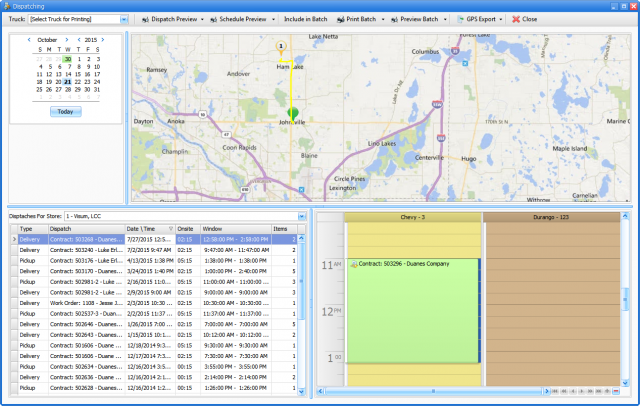 Dispatch lists can be printed as reports for drivers or exported to Excel (included). You can also view on Bing maps or transfer to most Garmin GPS devices (optional). Utilize truck weight capacities as well as rental item weights to safely plan truck or trailer loads.